Have a question? Need more information? Our experts can help. Call (315) 346-1489 or send us your question. A Midwestern Chicken processing plant generates approximately 2.0 million gallons of process wastewater per day high in BOD, Oil & Grease and Ammonia. 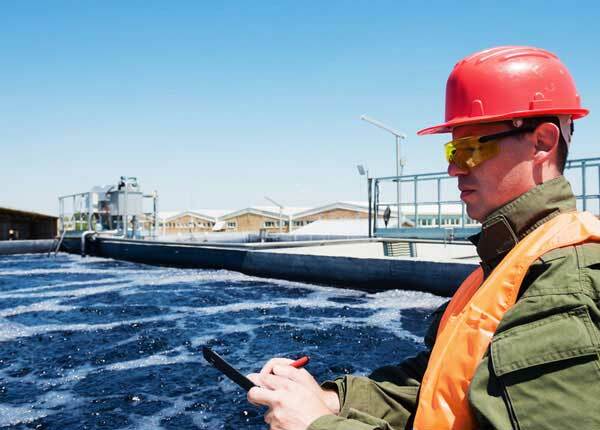 Wastewater is processed utilizing both primary and secondary treatment. 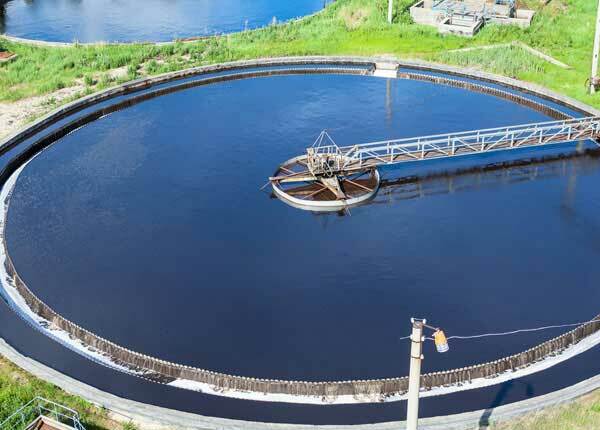 Secondary treatment is a two stage activated sludge system utilizing an anoxic zone as the first stage. Single stage nitrification is utilized to convert ammonia to nitrates. Caustic Soda was historically used to control pH and maintain sufficient alkalinity in the system for nitrification. 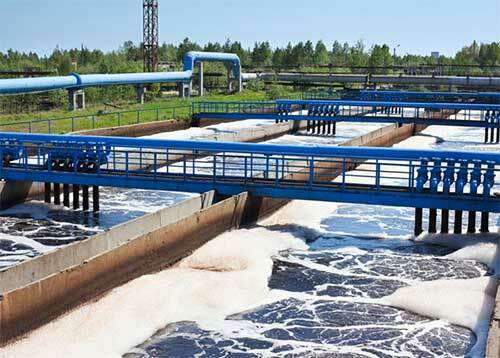 The wastewater is clarified in a gravity clarifier prior to discharge directly to a river. 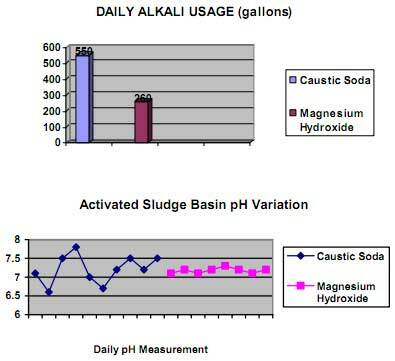 Significantly reduced chemical cost for alkalinity and pH control. Only 260 gallons per day of Aries Chemical’s Magnesium Hydroxide was required to replace 550 gallons per day of 50% caustic soda. Improved pH control and stability throughout plant. Improved solids settling in Secondary Clarifier. Improved chemical handling safety. Aries Chemical’s Magnesium Hydroxide is a nonhazardous product as compared to Caustic Soda which is a hazardous chemical. Caustic Soda requires special personnel safety handling equipment. Moreover, Caustic Soda requires Sara 313 reporting. For further information on Magnesium Hydroxide, contact your Aries Chemical Representative or the Beaver Falls office @ (315) 346-1489. Also view a printable version of this Magnesium Hydroxide Case Study. 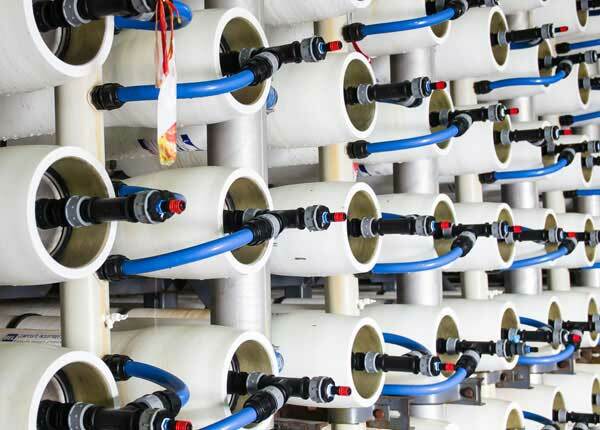 Aries has provided several hundred installations for complete water treatment systems & components. Through our knowledge of chemicals and equipment we can help you develop innovative treatment solutions. Providing a solution that will work for each and every customer is what separates us from our competition. Let us help with your water treatment system. Our potable water treatment chemicals will improve your process.